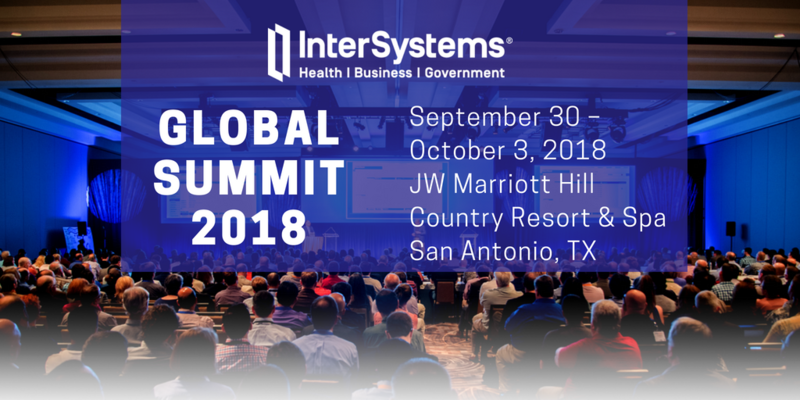 At the Solution Developer Conference, we’ll be talking a lot more about the InterSystems IRIS Data Platform released earlier this year, and how technologies like cloud, containers and API management are enabling new deployment patterns that can make your business more agile and scalable. In case you feel certain topics deserve more attention, the Unconference offers an informal and highly interactive channel to exchange ideas and learn from other attendees. And for those eager to get their hands on the product, we’re hosting four all-new Experience Labs where you can put all our promises to the test. This year for the first time, we’re hosting an extra event on the last day of the summit, a Symposium on Artificial Intelligence and Machine Learning. This dedicated event comes on top of a number of sessions and keynotes on AI related subjects in the regular conference. It’s hard to imagine a world without AI and ML these days and unless you’re living right next to the conference venue and can walk there without consulting a mapping app on your phone, just your trip to get there is bound to involve at least some AI-driven tools, apps or cars. Whether it’s the flight search website, the car-hail app to get you from the airport or your streaming provider suggesting a movie to relax after arriving at the hotel – You aren’t skipping the welcome reception, are you? – AI is everywhere and Machine Learning techniques help us build that intelligence. Through our Open Analytics Platform’s capabilities like support for Apache Spark and the PMML standard, but also through partnerships and initiatives like this event, InterSystems is committed to help our customers adopt AI techniques and technology. At the Symposium, you’ll hear from a great panel of AI thought leaders and practitioners including speakers from Georgia Institute of Technology, Orbita.ai, MGH, HBI, DeepBlue Analytics and Nitor InfoTech. Of course, we’re also interested to hear from you how your organisation is using AI and ML to deliver better software or services to your customers. So, don’t hesitate to let us know what you or your artificially intelligent computer is up to, or just register to attend the symposium as seating is limited.